Camilla is available in 1in width and can be made on web or hemp. Matching lead is available in 4ft, 5ft and 6ft lengths. Harness sizes Small, Medium and Large and XL. 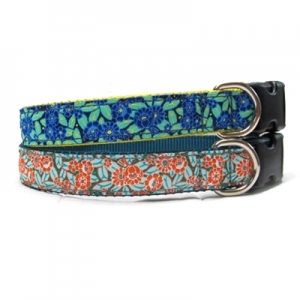 Martingales and martingale combos are available in sizes Small - XXL. Two fabulous colors.